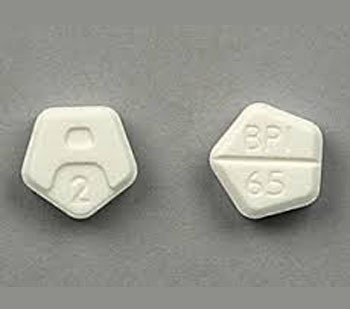 Ativan is a benzodiazepine tranquilizer that is widely used to treat acute anxiety states and as a premedication in adolescents over 12 years and adults. The drug possesses sedative, hypnotic, anxiolytic and muscle relaxing action. Currently, Ativan is considered one of the safest and most effective tranquilizers, used to treat anxiety disorders. control of status epilepticus (tonic-clonic seizures and partial onset seizure). Ativan helps to quickly cope with the manifestations of a nervous breakdown and anxiety, weakens irritability and reduces psycho emotional stress. 5 mg, 1 mg and 2 mg oral tablets. 4 mg/ml solution for injection. The success of treating anxiety disorders depends not only on the individual patient’s characteristics,but also on the observance of the dosing schedule of Ativan. To achieve the optimal result, the dosage regimen of Ativan is selected individually, depending on the patient’s clinical response to the tranquilizer administration. In anxiety states, the recommended initial dose of Ativan is 2 mg per day. If necessary, the daily dose can be gradually increased or decreased by 0.5 mg to avoid adverse effects. The usual therapeutic dose of Ativan varies from 2 mg to 6 mg. In the expressed anxiety state, the tranquilizer dose may be increased to 10 mg per day. The daily dose should be divided into two or three doses. The highest dose of Ativan is usually prescribed before bedtime. In sleep disorders, caused by anxiety disorders, Ativan is prescribed at the rate of 1 mg to 4 mg once a day, before bedtime. For premedication, both Ativan tablets and injections can be used. The injection form of the tranquilizer can be administered intravenously or intramuscularly. Adults are prescribed 2.5 mg to 5 mg of Ativan two hours before a surgery or investigations. The pediatric dose is calculated based on the weight of the child’s body and amounts to 0.05 mg per kg of body weight. To effectively arrest the epileptic status, adults are prescribed 1 mg to 4 mg of Ativan, children – up to 2 mg. The tranquilizer is administered intravenously slowly within 2-5 minutes. Caution should be observed when prescribing the tranquilizer to the elderly and debilitated patients, who take opioids and Levodopa. Ativan can enter into a drug interaction with these and other drugs. Combined use of Ativan with antihistamines, barbiturates, antipsychotic medications, hypnotics, antianxiety medications, and tricyclic antidepressants has a depressing impact over the CNS and increases the likelihood of respiratory depression. It was found that the combination of Ativan with probenecid can lead to an increase and prolongation of the tranquilizer’s effect. Theophylline or aminophylline may reduce the sedative effect of Ativan. As a rule, side effects develop at the beginning of therapy and often disappear as it continues. The most frequent side effects of Ativan are respiratory depression (when used in high doses), arterial hypotension, asthenia, nausea, fatigue, and depression. Prolonged use of Ativan (more than 4 months)increases the risk of physical and mental dependence.Abrupt cessation of the tranquilizer may be accompanied by the onset of withdrawal symptoms and well-being worsening. Therefore, the dose of Ativan should be reduced gradually, if a patient requires treatment discontinuation.